My friend Mirlandra "made" me watch this movie with her and then "forced" her copy of the book on me. I had never read anything by Francine Rivers and really wasn't sure quite what to expect. Our ladies' book club at church is reading this book next month and I was getting ahead. Now I wish I had read the book before I saw the movie, mostly because the movie (I felt) followed the book so very closely that I almost felt like I was wasting my time a bit in reading the book! It's not that often that I can say that. However, I do believe that this was one of those instances. Michael Landon, Jr. stayed true to Rivers' original story in retelling it on the big screen. Nicely done! The thing I appreciated in reading the book was getting a feel for how Rivers writes and communicates a story. Having not read anything else that she wrote, I have very little to compare this work to and from what I've heard, this book is different than other books that she has written. I'm not sure if that means I would like or dislike anything else. I am definitely planning on reading more by Rivers though so I'll be able to distinguish what it is that I like about her style in the not-too-distant future, I am sure. I found this book to be compelling and thought-provoking. The message in both the movie and the book is strong in stating that there is only One who can truly remove your sins. The story is set in the Appalachia mountains where people's sins runs deep and understanding of just about anything -- not so much! The "hidden" story of this settlement's history is complex and covered in lies and half-truths. Almost everyone in this tiny Welsh settlement seems consumed by fear and self-doubt. This story is a common truth: All have sinned and have fallen short of the glory of God. We all need a Savior to break our chains and set us free. Cadi, the young girl in this story, is on a personal quest to find The Sin Eater, an appointed guilty man who "eats" the sins of those recently deceased allowing them to rest in peace. She hopes that by finding him and having him "eat" her sins before she dies, she might then be free to live a happy life, free from the burden of her sins. Francine Rivers delivers a strong message in this book that there is only One, Jesus Christ, who can pay the price for our sins. It is by faith in Him that we are allowed victory and peace on earth - free from the weight of sin and death. Rivers weaves the truth into a captivating tale that truly sticks with you. I'm wondering if all of her books are so thought-consuming. I really enjoyed this book and the movie. I recommend it for producing "good thoughts." In other words, it's more than just a simple, entertaining story. It is entertainment with the most important message anyone could ever want to hear. Well done! 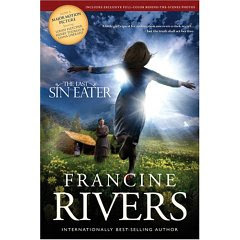 Great review, i am looking forward to the movie coming out and was glad to hear it is true to the book - The Last Sin Eater is great though very different from Francine Rivers other books. I would recommend the Mark of the Lion series next (3 books) by her, it is excellent. I've never read anything by Francine Rivers, but the concept of a "sin eater" is intriguing. This sounds good. Thanks for this review. And I read Rivers's book that's based on the book of Hosea, can't remember the title right now. I thought it was OK, but nothing special. I love this book, but have been hesitant to rent the movie because I was afraid it would be a disappointment. After reading your review, I might just have to pick it up! I've read a few of Rivers' other books. Loved Leota's Garden. 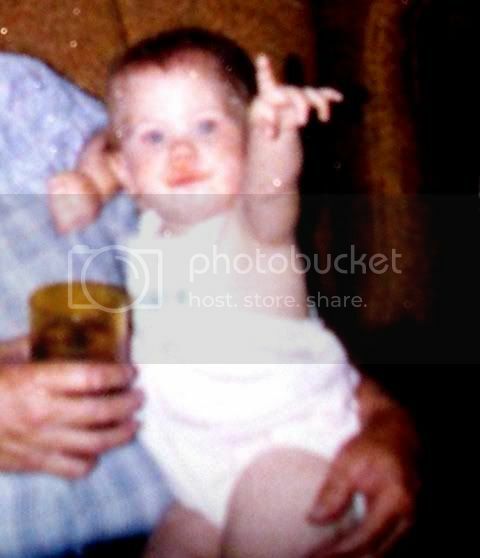 Hated The Atonement Child. I soo love Francine Rivers! I've read nearly all of her books, so when I saw the movie came out, I've been hesitant to rent it in case they slaughter the book... but I just might anyways. I just recently read Redeeming Love by that same author and was really impressed by her writing style. You should check it out. : ) I recently read Redeeming Love by her when the lights were out from Hurricane Gustav, and let me just say, OMGOSH! That book is so phenomenal! I looked online and saw that she has written several books, which excited me, because after reading Redeeming Love, I want to read everything that she has ever written! : ) Thanks for your review! And definitely check out Redeeming Love!